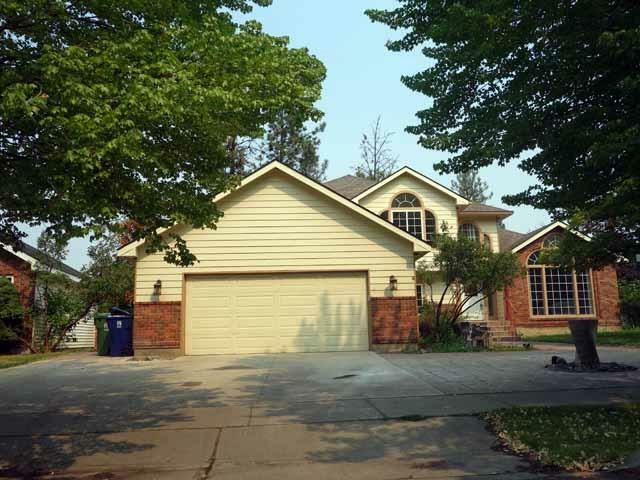 Fantastic 4-Level home in Northwest Spokane in lovely established neighborhood. This home has many new & almost new updates! Stainless Steel Appliances including refrigerator! Formal Living Room or Dining Room and an eat-in Kitchen. Skylights provide free lighting. Master Bedroom has it's own 3/4 bathroom & walk-in closet. Nestled bedrooms upstairs, and more rooms available on other levels. Fenced backyard with large entertaining deck. Attached over-sized Garage with additional parking spaces.